I’ve been making this incredible flaky pie dough since my sister first checked out “Baking With Julia” from the public library ten years ago. Julia Child is an amazing chef, baker, author, and even had her own cooking show on TV. 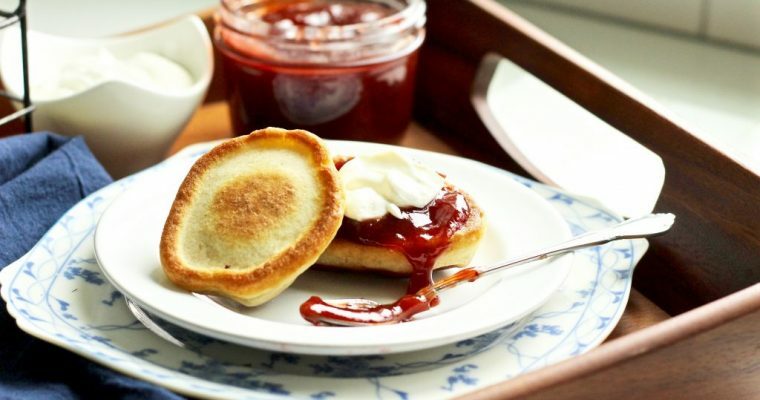 She is recognized for bringing French cuisine to the American public. (I fell in love with her story after watching Julie & Julia, a sweet drama/comedy based on the life of Julia Child and Julie Powell who wrote a book about cooking through her recipes. I’d highly recommend this movie to just about anyone!). Needless to say, when it comes to baking, Julia knows what’s up. 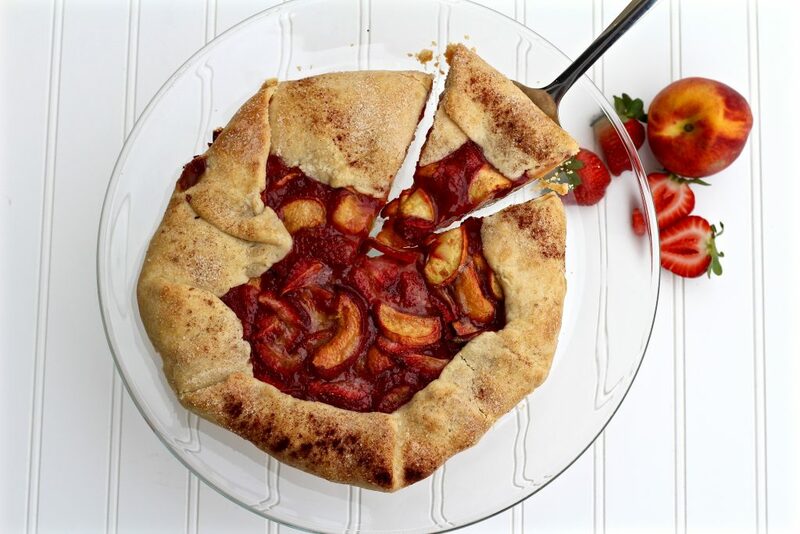 I have used this recipe to make countless pies, tarts, and galettes (including this amazing Strawberry-Peach Galette); both sweet and savory and have received countless compliments on it. My husband (who considers himself a pie connoisseur) claims that this is the best crust he’s ever had. I’ve tried taking shortcuts many times and using store-bought crust, but it never turns out to be anything close to as good as this flaky pie dough. 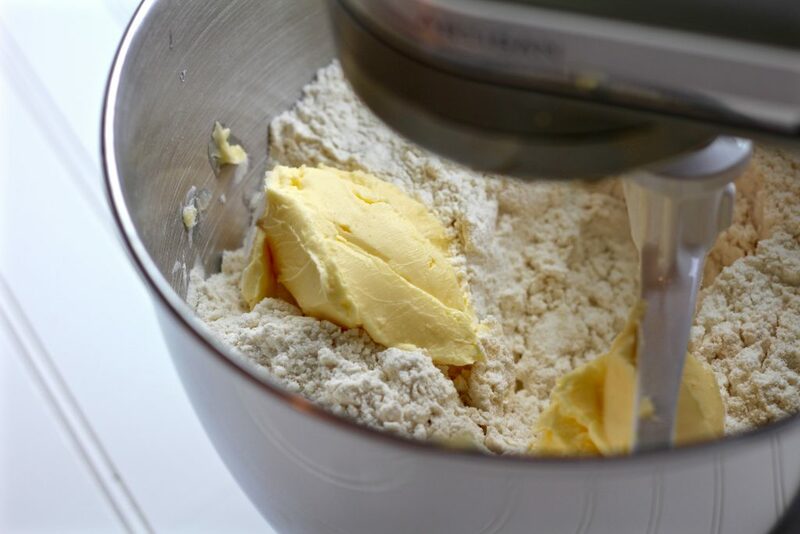 My favorite way to make this flaky pie dough is using my KitchenAid stand mixer, so I will focus on this method. 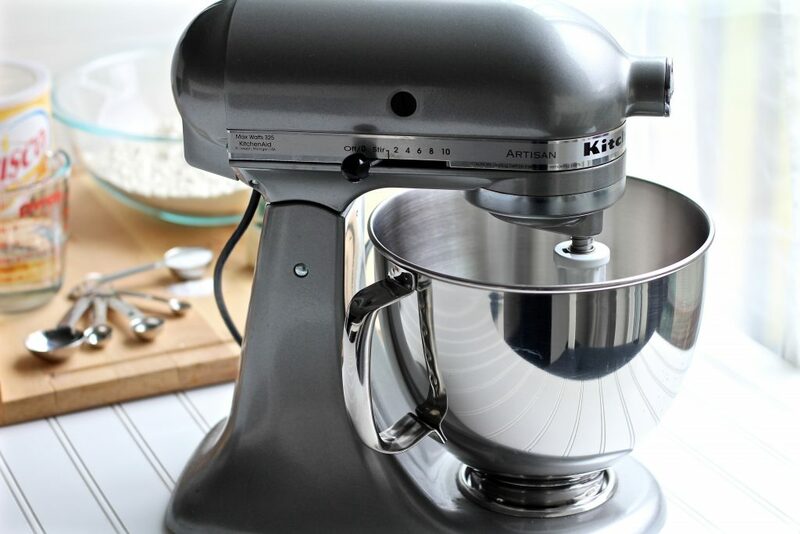 But you can also make it by hand or using a food processor. I’ll include directions for those methods as well. 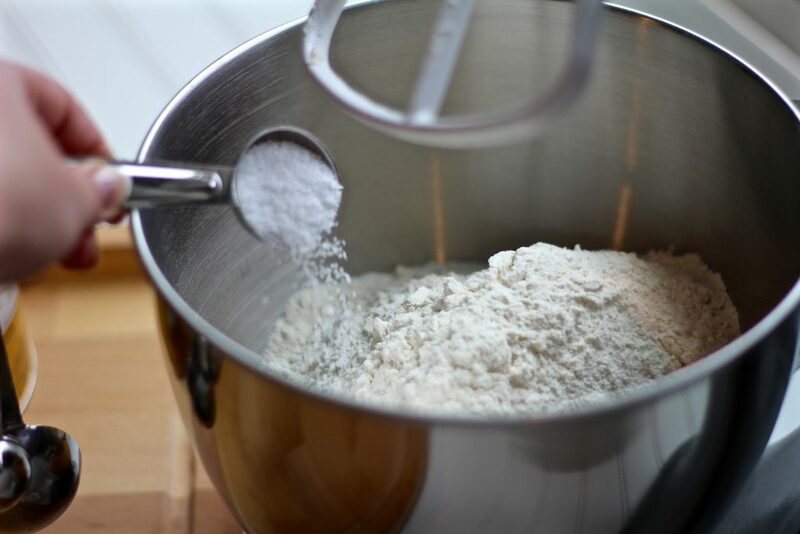 Mix the flour and salt in the bowl using the paddle attachment. You will be using the “stir” setting (or lowest speed setting available) for all of these steps. Add chilled shortening in small bits and continue to mix on low. When shortening is mixed in and the texture is clumpy and starts to stick together, gradually add the ice water. Mix only until water is just incorporated. You might find that the dough sticks to your paddle, this is normal! 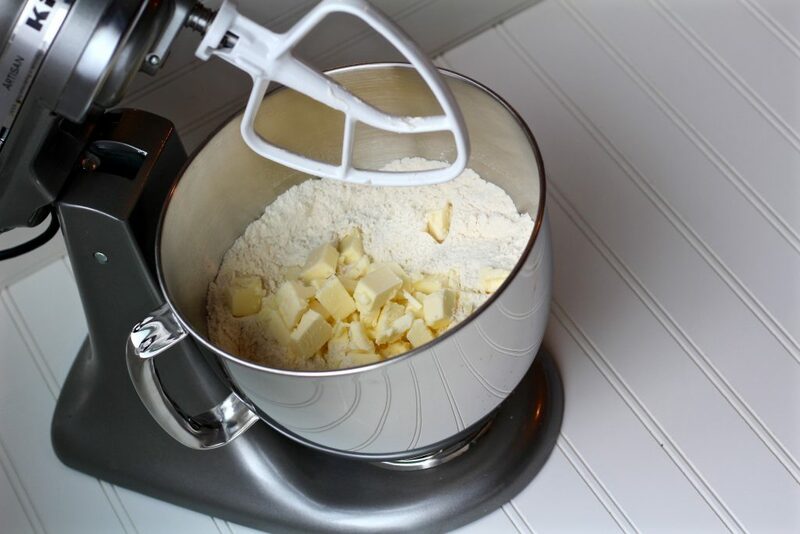 Use a small spatula to scrape off dough from the paddle attachment, flatten dough, and cut into quarters. 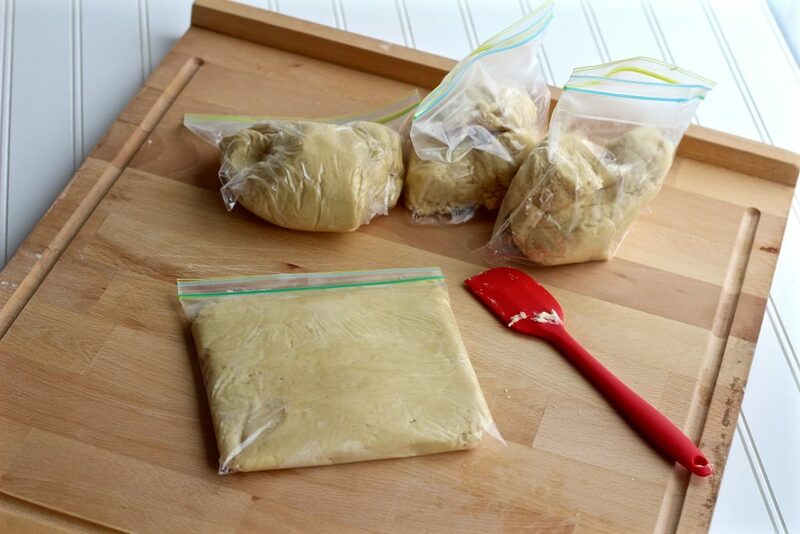 Place each piece in a separate zip lock bag, flatten, and chill for 2 hours before use or freeze for later. 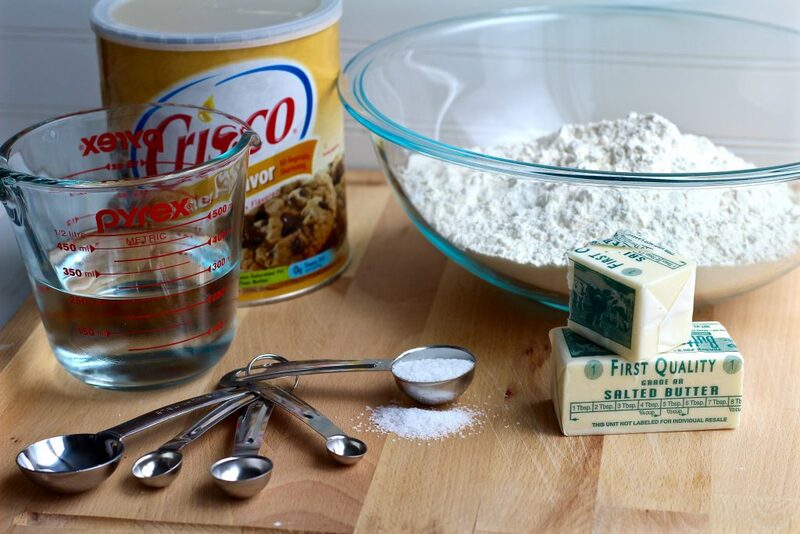 This flaky pie dough turns out great every time and is so easy to make that I just cant justify buying pre-made dough. I always make the full recipe and sometimes even double it (especially during the holidays when I’m baking a lot of pies). 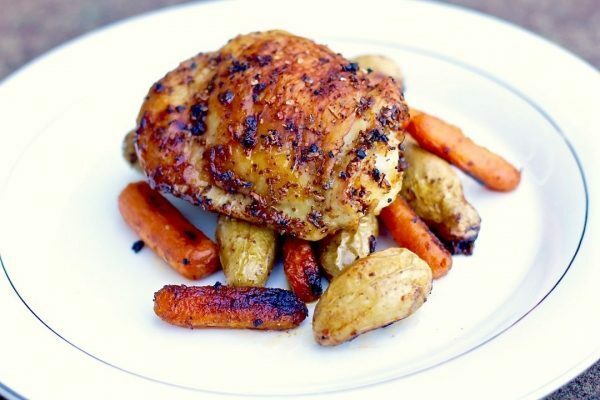 This way you have it ready to go in your freezer. 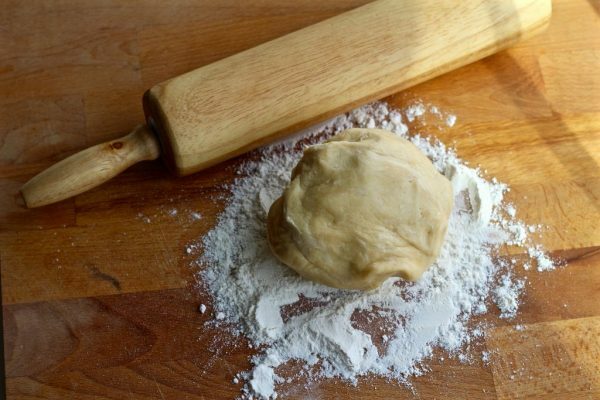 Just remove the dough form the freezer and have it sit on the counter for about 30 minutes before rolling it out to make your favorite pie, tart, or galette. My current favorite use for the flaky pie dough is this strawberry peach galette; so delicious and easy to make! 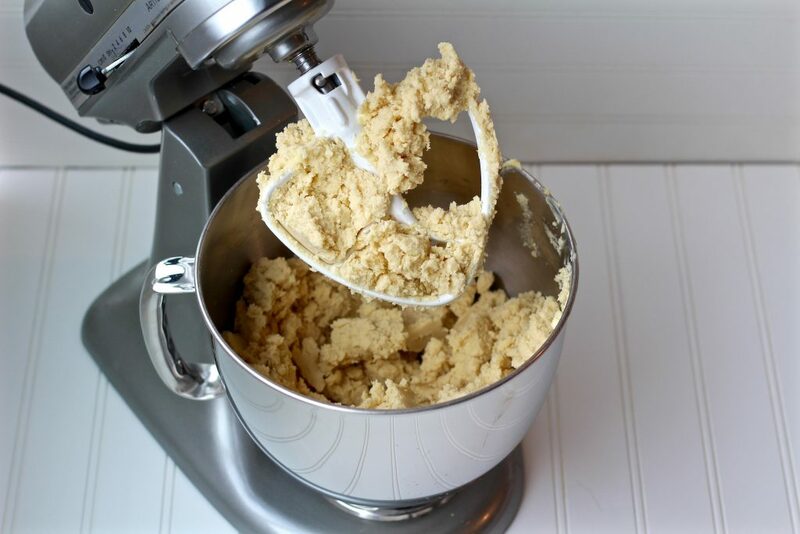 If I remember correctly, after Julia mixes ingredients in food processor,folds it into ball then, with her hand smoothes it out with palm of hand[my God, don’t try and follow my description of Julias video ,you’ll have a mess on your hands] . This is where I have a problem, or over think next step. 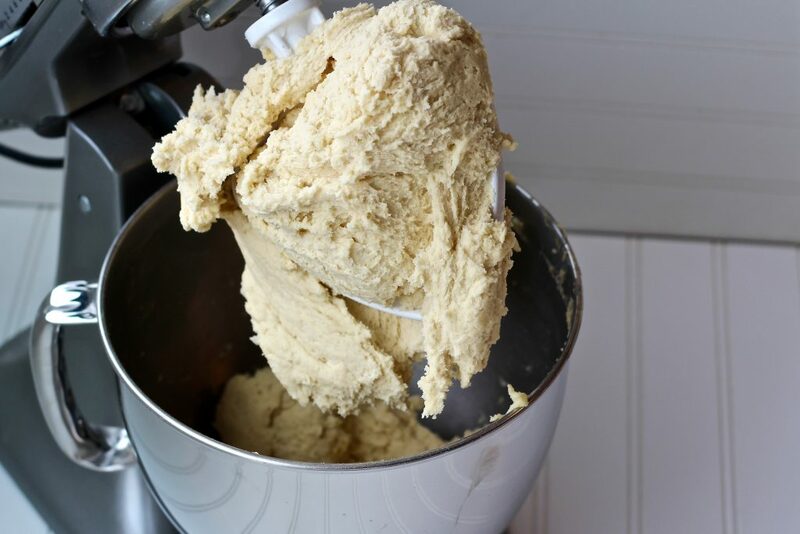 How long, after refrigerating the dough, do you let the dough sit and rest before rolling gently out… I know the importance of keeping dough cold, but how long do I let it thall. Out before I can roll it out nicely [not over working it] and yet keeping it cold. The next step is pretty simple actually! 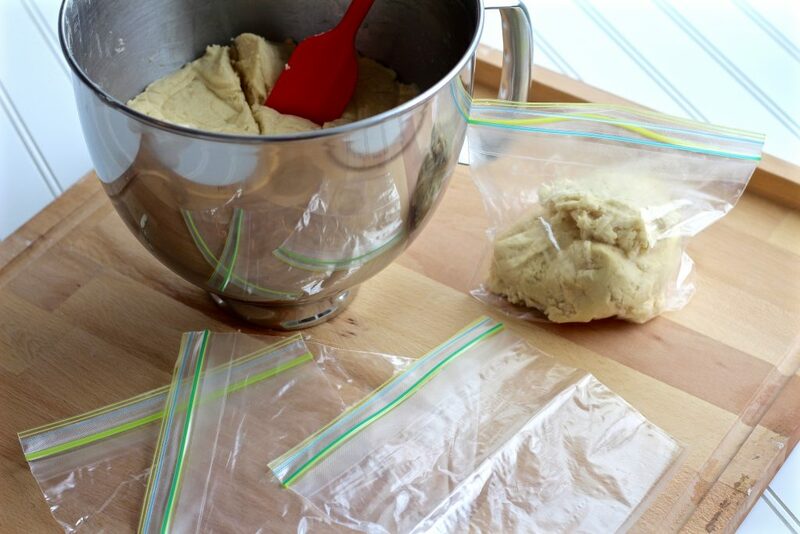 If you have frozen the dough, then defrost it in the refrigerator overnight. 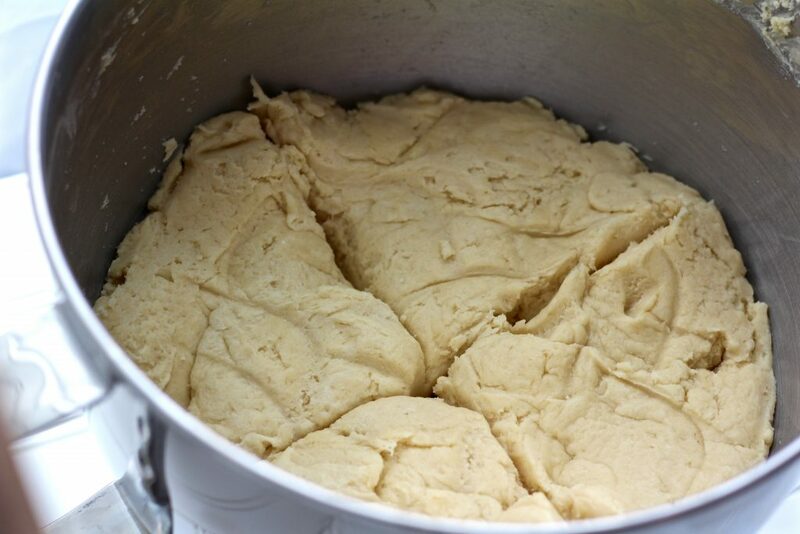 If it’s freshly made pie dough, put it in the refrigerator for about and hour or two so it’s evenly chilled. 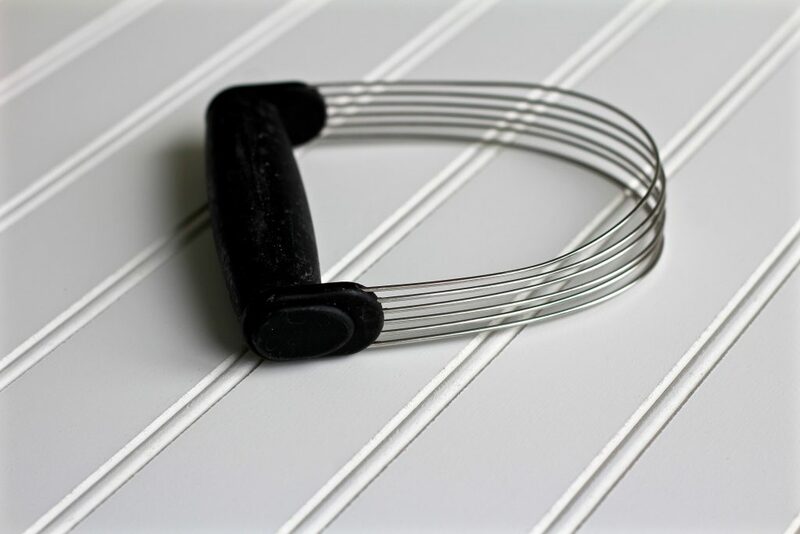 Once it’s “refrigerator” temperature, it’s perfect to work with and roll out. There is no need to let it thaw on the counter. 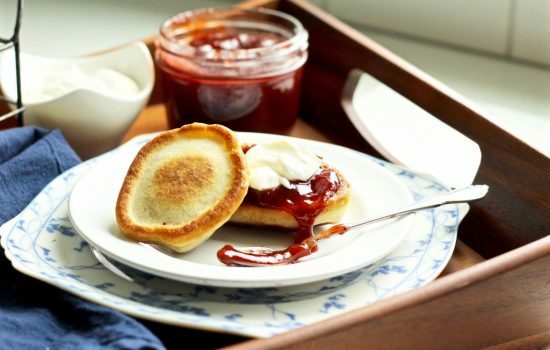 sorry, there’s no way that pastry you made is the picture you show. 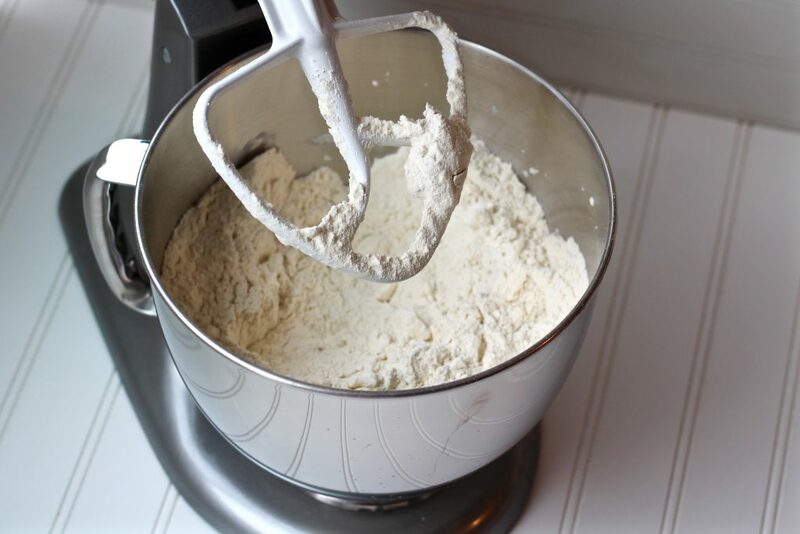 You’ve used too much of the cake flour and you can NOT at any time directly convert regular flour with cake/pastry flour!! Using butter flavoured crisco is a NO NO!! use butter and then lard … what are you telling people??? 3/4 cup (1 1/2 sticks) unsalted butter, diced, chilled. 1/4 cup lard or vegetable shortening, chilled. 1/2 cup very cold water. The pastry pictured is made exactly by the recipe I shared, maybe you’re looking at a different Julia Child recipe? I’m using the exact (verbatim) recipe that is found on p. 31 of “Baking With Julia”. The only difference is using a flavored vegetable shortening which I put in parentheses as a suggestion. It’s always worked wonderfully for me, maybe give it a try? Oh, and I use all purpose flour, not cake flour although in the original recipe does state you can use pastry flour or all-purpose. Best of luck! Yes! It’s my favorite pie crust recipe!